In the late 1960’s while playwright Jeffrey Hatcher was growing up in Steubenville, Ohio, he took a manners class. Decades later, it served as the inspiration for his comedy, “Mrs. Mannerly.” He even used his own name for one of the two main characters. 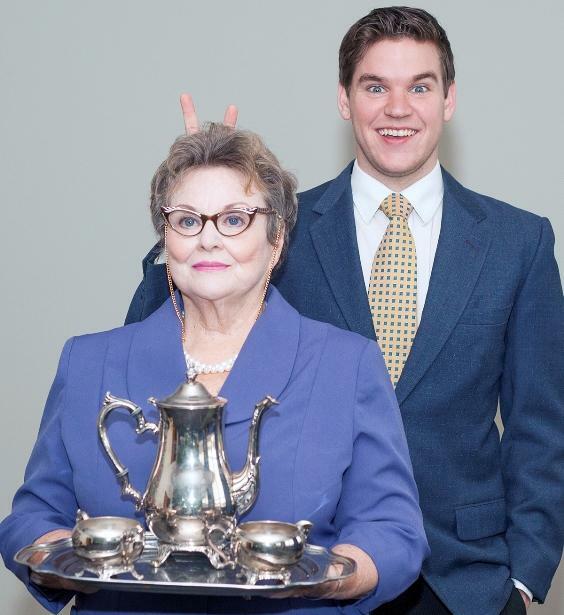 The other character is Mrs. Mannerly, the teacher of an etiquette class. Set in Hatcher’s hometown in 1967, the plot of “Mrs. Mannerly” revolves around student Jeffrey Hatcher’s goals of being the first to achieve a perfect score in the etiquette class while also uncovering the mystery surrounding his teacher. 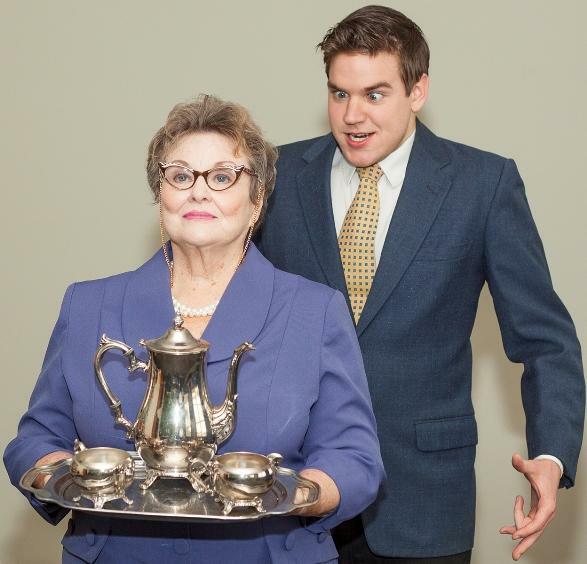 Max & Louie Productions stages the St. Louis premiere of “Mrs. Mannerly” beginning May 23 at COCA’s Black Box Theater. Veteran St. Louis actress Donna Weinsting plays the part of Mrs. Mannerly. Webster University Senior Musical Theatre Major Charlie Ingram plays Jeffrey Hatcher in two guises, the 30 year old one who looks back on the 10 year old version of himself. He also plays the parts of four students – two girls and two boys. Director David Hemsley Caldwell found the biggest challenge to be setting up the stage for Ingram to play all those characters without any costume changes so that all of them will be clear to the audience. Ingram’s challenge is to carry that out. In one instance he has to play both Hatcher and a girl named Patsy while the two characters do the cha-cha. Donna Weinsting, Charlie Ingram and David Hemsley Caldwell were Steve Potter’s guests on “Cityscape” to discuss Hatcher’s play and the Max & Louie St. Louis premiere. Max & Louie Productions Presents Jeffrey Hatcher's "Mrs. Mannerly"
Wednesdays - Saturdays at 8:00 p.m.
Saturdays and Sundays at 2:00 p.m.
COCA's Black Box Theater, 524 Trinity Ave.